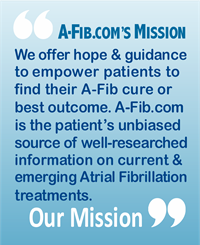 Have you ever wished you could give your doctors an episode of Atrial Fibrillation, just so they would understand what you are going through? That’s what I did in Zurich last week (well, sort of). I’m back from Zurich, Switzerland, where I was the only patient speaking at the 2-day 2016 Multidisciplinary Arrhythmia Meeting (MAM), a gathering of cardiologists and surgeons from leading institutions in Europe, the US and Asia who treat Atrial Fibrillation. After dinner on the first night, I spoke to a room of 200+ cardiac electrophysiologists (EPs) and surgeons. 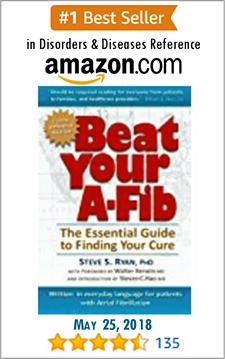 I was there to help them better understand A-Fib from the patient’s point of view. 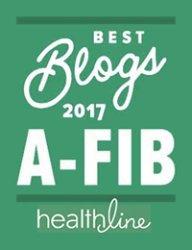 I focused on the psychological and emotional impact of A-Fib on patients―how the anxiety, fear and stress of the disease can be as bad (or worse) as the physical symptoms. I shared my own journey with A-Fib and described my own stress, fear and frustration; then how I did extensive research and found my cure in Bordeaux by a catheter ablation (one of my Bordeaux doctors, Dr. Dipen Shah, was in the audience). 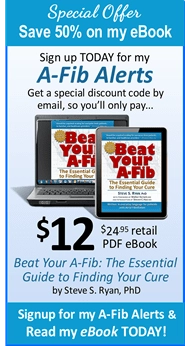 I next shared my wish that each of them could experience an episode of A-Fib for just 60-seconds―it would change their perspective of A-Fib forever. They wouldn’t soon forget the fear (am I going to die?) and anxiety (God, please stop this!). Then, I challenged them to go beyond the physical symptoms and help patients deal with their anxiety and fear. 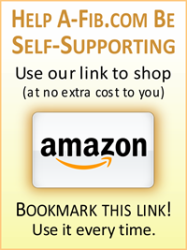 Knowledge is empowering so I recommended they personally check out and be ready to recommend at least two books and 2 websites about Atrial Fibrillation. In addition, I suggested they vet at least three psychiatrists who understand A-Fib and who could help patients in need of counseling and medication to address their anxiety. And finally, I thanked them, on behalf of all the patients they have made A-Fib-free. There are few medical procedures as transformative and life changing as going from A-Fib to Normal Sinus Rhythm. For me, it was getting my life back. I think I really made an impression. I don’t think anyone had ever talked to these doctors like that before. 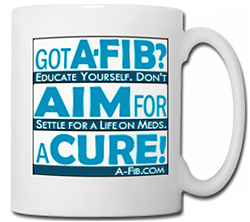 I hope my efforts will trickle down to helping others with A-Fib. The goal of MAM was to improve interaction between cardiac electrophysiologists (EPs) and surgeons who treat difficult A-Fib cases through a new Hybrid approach. Both a surgeon and an EP work together, one from inside the heart, the other from outside the heart. (Note: In the past, it’s been a rare occurrence for a surgeon to work with a cardiac electrophysiologist.) To learn more about the hybrid approach, see THE HYBRID SURGERY/ABLATION. I want to thank my host, Dr. Stefano Benussi, University Hospital, Zurich, Switzerland, for his personal invitation to attend and speak at MAM 2016. I’ll soon be writing reports on the key presentations. Just look for 2016 MAM. Looking into the Hybrid Surgery/Ablation Procedure?